The OnePlus X the rumoured budget device from OnePlus has finally be officially unveiled and the device checks the right boxes. 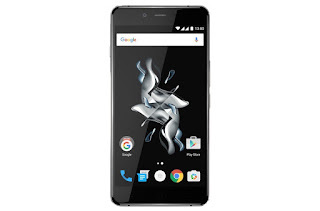 The OnePlus X sports a 5inch Full HD AMOLED display wrapped up in a premium metal or ceramic frame sandwiched by a glass front and glass back. The OnePlus X is powered by a Qualcomm Snapdragon 801 processor which was previously used by 2013 Android flagship although the 801 is a little dated, it's quite capable and could quite easily keep up with most tasks. 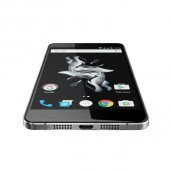 The memory of the OnePlus X is limited to 3GB RAM and 16GB user accessible memory expandable via a microSD. The rest of the specs includes a 13 MP main camera with phase detection and a 2525mAh battery. The OnePlus X is quite reasonably priced at $249,and the omission of a fingerprint sensor, NFC and USB Type C from the device wouldn't really be missed.